the new Cultural Center Casal Balaguer, designed by flores & Prats with duch-Pizá, is completed. the project is a renovation of a historical house in the center of Palma de Mallorca. 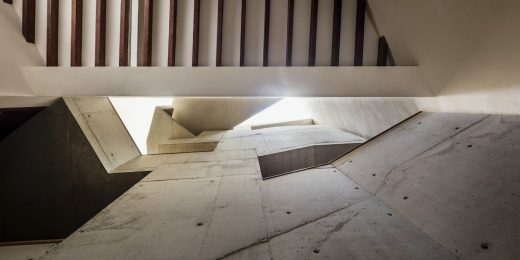 After a two-decade long process that had architects Ricardo Flores, Eva Prats, Duch Navarro and Xisco Pizá Alabern confront themselves with the physicality of history, a new surprising life has been given to the building. Casal Balaguer is a palace in the historical center of the city, capital of Mallorca, biggest island in the Spanish Balearic archipelago. A large aristocratic house originated in the fourteenth century, renovated in the sixteenth and enlarged in the eighteenth. Late last century, the City Council of Palma decided to turn Casal Balaguer into a cultural center. This project, that Flores & Prats Architects conceived with Duch-Pizá, heralds a new stage of the building, which has now been converted from a family home into a public building open to all the city. ”We work with everything we inherit at once, without granting one period priority over another. Instead we value the whole as a new presence that for us is contemporary and which we approach in order to decipher its rules in order to design its own future. Accepting the accumulation of history in an existing building requires discipline it means accepting the ghost that manifests itself in the building’s past as a physical quality imbued in things by time…” say Ricardo Flores and Eva Prats. The traces left by time in the various construction phases and in the subsequent uses of the building were the object of a meticulous survey that permitted Flores & Prats + Duch-Pizá to instill new life into this complex by means of a project that is respectful of all pre-existing conditions while at the same time capable of triggering fascinating transformations and possibilities for new uses. In their restoration project, Flores & Prats Architects and Duch-Pizá took into consideration the need to access areas that were previously closed off, re-activating rooms and designing a circulation through the building to adapt it for its new public use. The new circulation, that allows to hold together structures dating back to different eras, each well identifiable, must be intuitive, making it possible to easily walk through the building despite its complex geometry. In the new program, the ground floor is the entrance to the new Cultural Center, with the reception, cafeteria, and exhibition gallery spread out over two floors. The piano nobile becomes the house museum, and the attic floor, just underneath the roof, is used as the print workshops of Palma’s Fine Arts Centre and a lecture room. The use of light is one of the elements that enabled the most significant transformation: the architects added light and circulation routes. 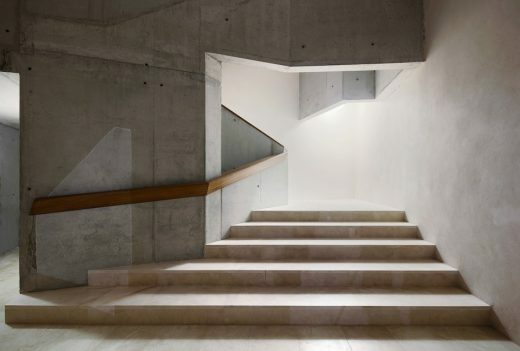 Daylight would guide people through the building, clearly marking their passage from one part of the house to another by changes in lighting and by the different measurements and geometries that they pass through. As part of this transformation, Flores & Prats + Duch-Pizá’s work sought to prevent the palace from losing that spatial complexity and mystery, which has defined its extensions until today. Twenty years passed since the beginning of the design phase (1996-2002), and a series of events went along this process which underscores a unique competence in the field of architectural restoration and refurbishment. In the course of the years, Flores & Prats gave evidence of this expertise with a series of projects, like the Museum of the Mills (Es Jonquet, Palma de Mallorca, 1998-2002), Providencia House (Badalona, Barcelona, 2002-2008), Sala Beckett – Obrador Internacional de Dramaturgia (Poblenou, Barcelona, started in 2011 and nearing completion). Site visits, lectures, exhibitions, a book (“Thought by Hand”, Arquine, 2014): they each stitched the thread for a complex narrative whose protagonist is an architecture that can’t be simply bound to a specific time. 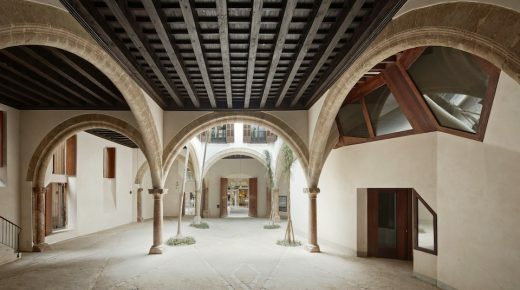 The project for the Casal Balaguer Cultural Center received several recognitions, among which the FAD Award (Fomento de las Artes Decorativas) in 2016. 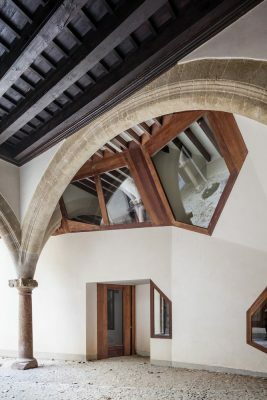 Casal Balaguer was anticipated as a project in the Catalan pavilion at the 14th Venice Architecture Biennale in 2014 and is presented in the Spanish pavilion at the 15th Venice Architecture Biennale (winner of the Golden Lion).